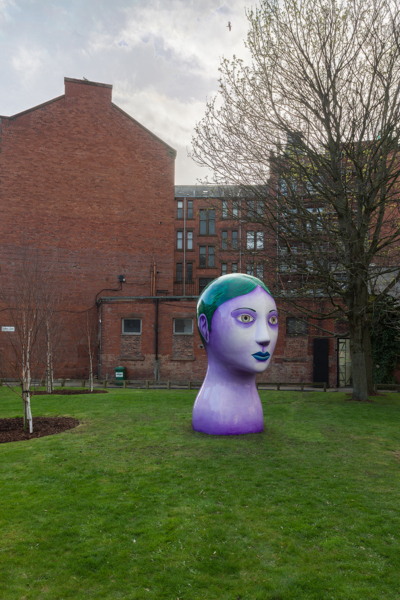 For Glasgow International 2018, Swiss artist Nicolas Party presents ‘Head’ – a new public artwork within The Modern Institute’s Aird’s Lane Green Space. Resembling an oversized millinery dummy or a carnival style head, this new sculptural work by Party – produced in fibreglass and painted in the artist’s signature graphic style – takes its inspiration from classical monuments. 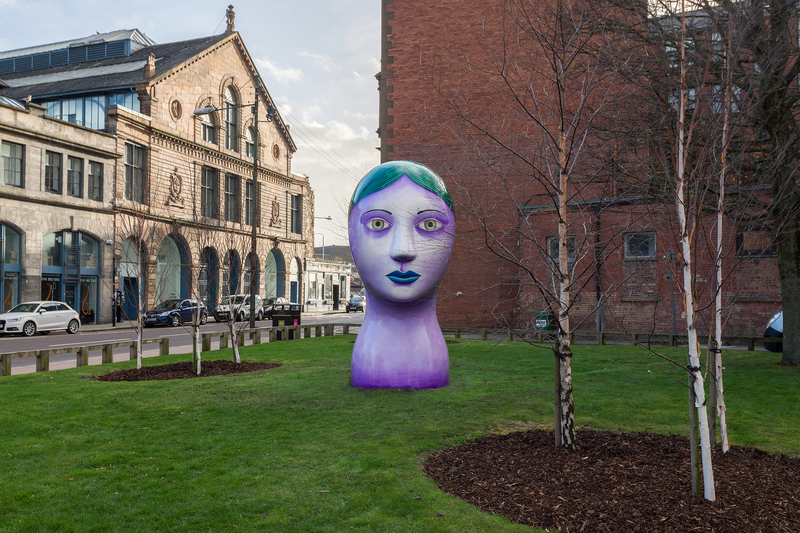 Echoing the fixed stares of the androgynous figures Party depicts in his painted portraits, ‘Head’ is from a new body of sculptural works first realised in his recent installation at Modern Art Oxford (2017). Party’s practice focuses on examining and re-imagining painting’s traditional genres of portraiture, still life and landscape. 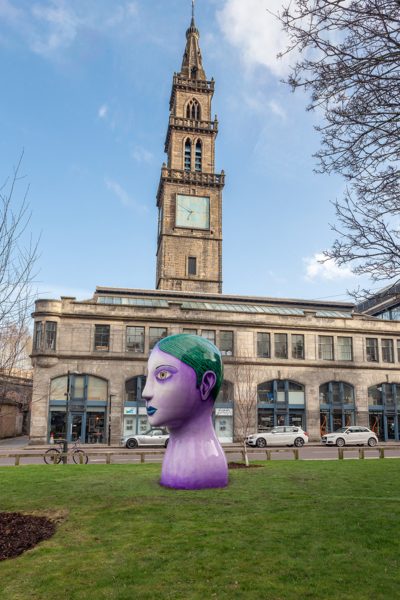 Working across painting, installation, drawing and sculpture, Party’s varied engagement with his chosen medium is reflective of his broader interest in art history and decorative tradition. Party has built up a consistent graphical language within his practice and cites his art historical influences as: medieval art, the late nineteenth-century painters Félix Vallotton and Ferdinand Hodler, and the twentieth-century painters Balthus, Milton Avery and Christian Schad, alongside more contemporary influences such as the multimedia artist John Armleder.